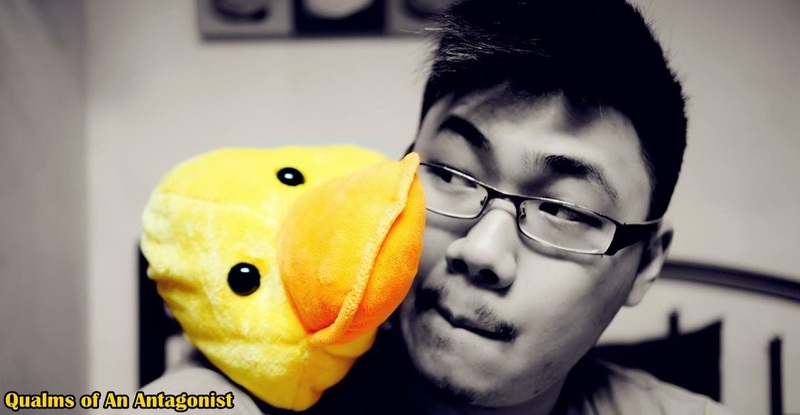 Qualms of An Antagonist: The Entertainer Malaysia. Over 435 Buy 1 Free 1 Coupons! The Entertainer Malaysia. Over 435 Buy 1 Free 1 Coupons! Well a couple of months back I was introduced to The Entertainer, The Malaysia edition. So what the The Entertainer? 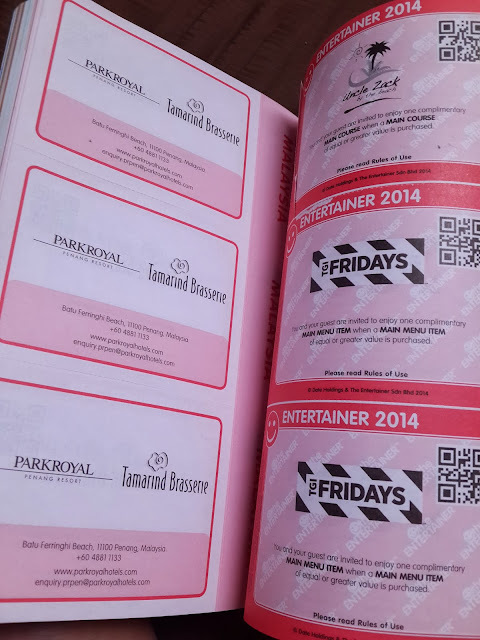 In a nutshell The Entertainer is a coupon book which contains over 435 Buy 1 Get One Free coupons that you can use at the hottest restaurants, nightspots, informal dining, spas, activities, and more! The Entertainer is also available in as an APP on Android,Blackberry and Iphones, but I preferred the physical copy just so I can lug it around and refer to it whenever I felt like it. The best part of this is that you need NO PRIOR BOOKING BEFOREHAND! To use a coupon, simply present it during your bill and you'll be entitled for the Buy One Free One promotion. So as you can see I've been utilizing The Entertainer lately and it has saved me roughly RM150 (estimated) from 5 different merchants. The best part is that I am still left with another 2 more coupons for each of the establishments that I've been to before! Of all the places I've been at, the only place that gave a small hiccup was Lecka Lecka which was manned by two foreign workers who did not have an idea what it was until they contacted their superiors and everything went smoothly after the call. So how much would you be willing to pay for The Entertainer? RM235? Well nope, they're currently running a promotion and you'll be able to purchase the book for only RM145 today! Yeap, not only do you get the book for food. 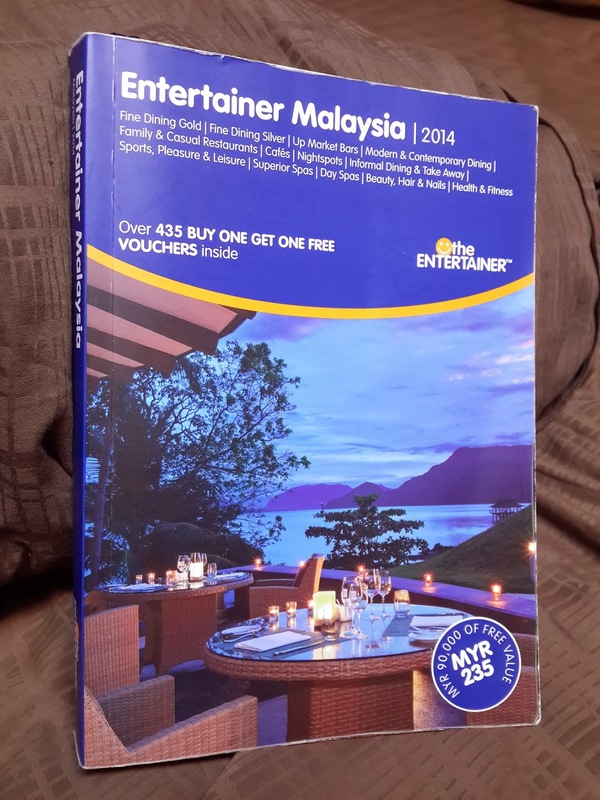 You'll also get the Entertainer Travel - Asia & Indian Ocean edition when you purchase Entertainer Malaysia Edition. So in addition of being able to save on dining, you'll also have access to Buy 1 Free 1 stay at hotels in Hong Kong, Indonesia, Malaysia, Thailand, Vietnam, India, Sri Lanka, Maldives, Mauritius, and Seychelles! Unfortunately for the Travel edition, you can't share the vouchers with family & friends as you'll need to register your name and details with the site for the first time in order to use the travel vouchers. SO in total The Entertainer saves you an estimated RM370,000.00 if you were to utilize every single coupon. But let's be realistic, you're not going to be able to utilize ALL of it, but just utilizing at least 6 of the coupons and the saving will cover the cost of The Entertainer itself. So wait no more, get one here today and save yourself some money!